Technical & installation information on low concealed toilet cisterns for back to wall toilets. This hidden cisterns can be easily fitted under low windows or on areas where height is an issue. 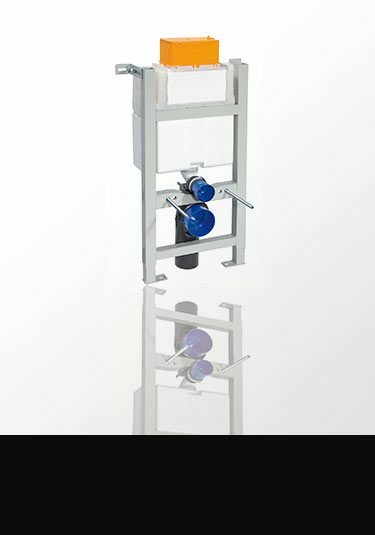 Technical & installation information for low height concealed toilet cisterns with a steel installation frame. 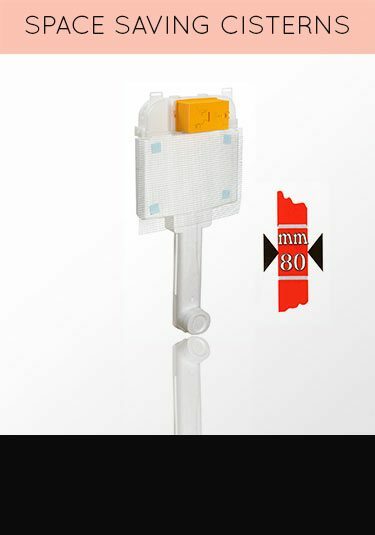 These low hidden in-wall cisterns are designed for the installation of wall hung toilets in height restricted areas, such as under low windows. 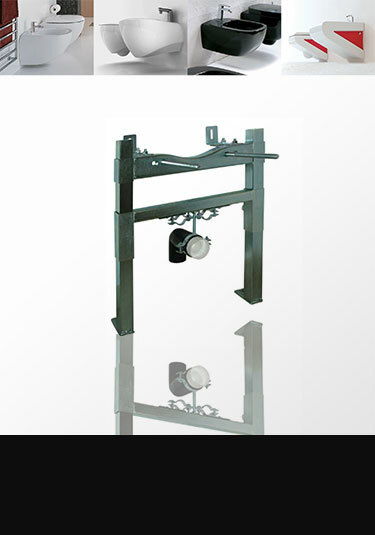 Technical & installation information on the corner toilet cistern and hanging frame. This concealed toilet cistern is designed so wall hung toilets can be easily and safely installed into the corner of a bathroom. 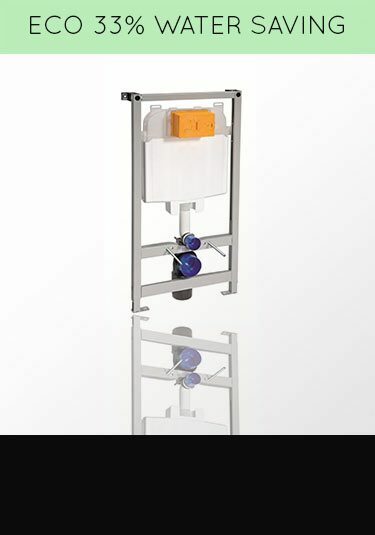 Click for technical & installation information on the Super Slim hidden toilet cistern designed for wall hung toilets. These thin cisterns can be fitted in front of an existing wall of fixed within a timber wall allowing more space saving. Click for technical & installation information on the Super Slim concealed toilet cistern designed for back to wall toilets. These thin cisterns can be installed in front of an existing wall of fitted within a timber stud wall allowing more space saving. 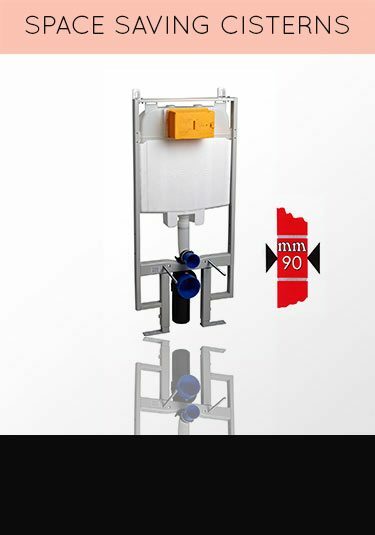 Click to the technical & installation information on the Super Slim toilet cistern designed for installing into masonry walls. 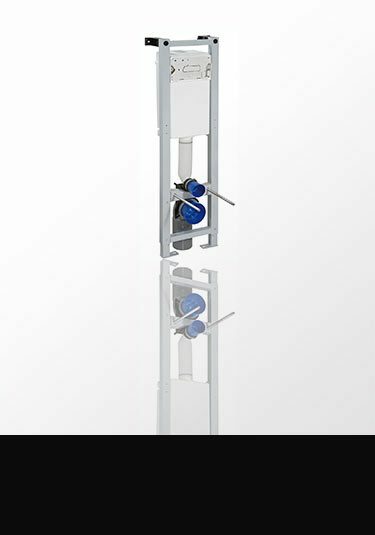 Click for technical & installation information on the eco water saving toilet cistern with a hanging frame for wall hung toilets. 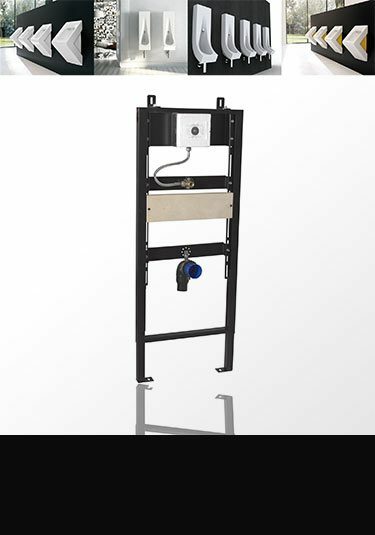 Click for technical & installation information on slim floor mounted hanging frames for the safe fixing of wall hung wash basins. 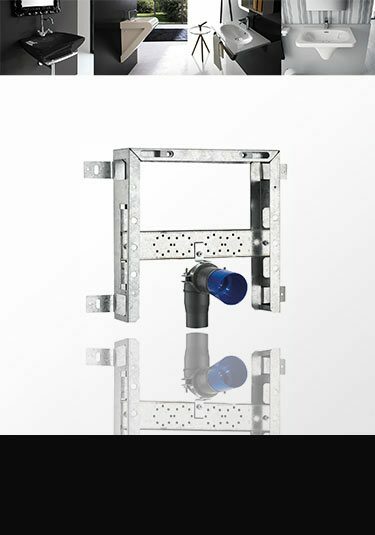 These space saving frames can be fitted within a timber wall or fixed in front of the wall if required. 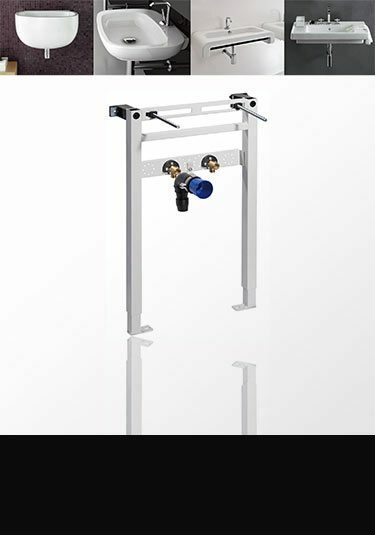 Click for technical & installation information on slimline wash basin hanging frames. These slim basin fixing frames are space saving and can easily be fitted in front of an existing wall or fitted within timber stud walls if required. 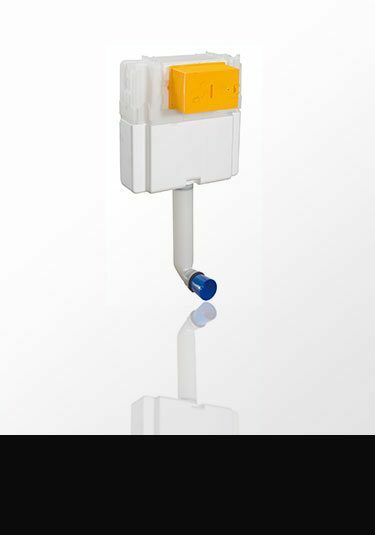 Click for technical & installation information on slim bidet hanging frames, allowing for space saving and the safe and quick hanging of wall hung and wall mounted bidets. 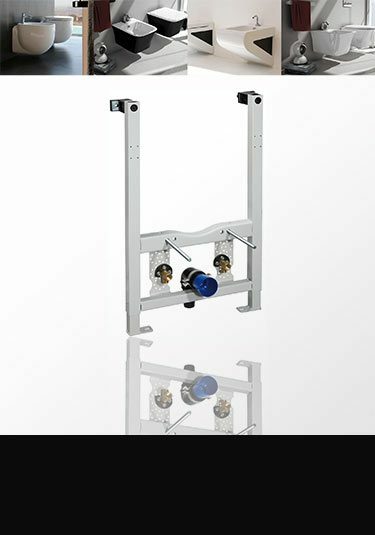 Click for technical information & installation on Low Bidet Frames - This bidet frame is designed hanging wall hung bidets and are ideal for using in height restricted areas. eg under low windows. 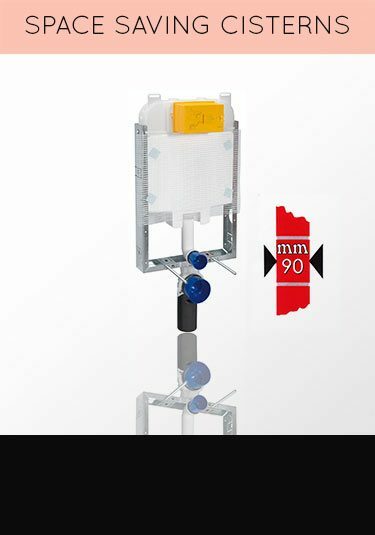 Click for technical & installation information on urinal hanging frames -This urinal hanging frame is manufactured in Europe and is designed for quick, easy and strong installation of wall hung urinal toilets.